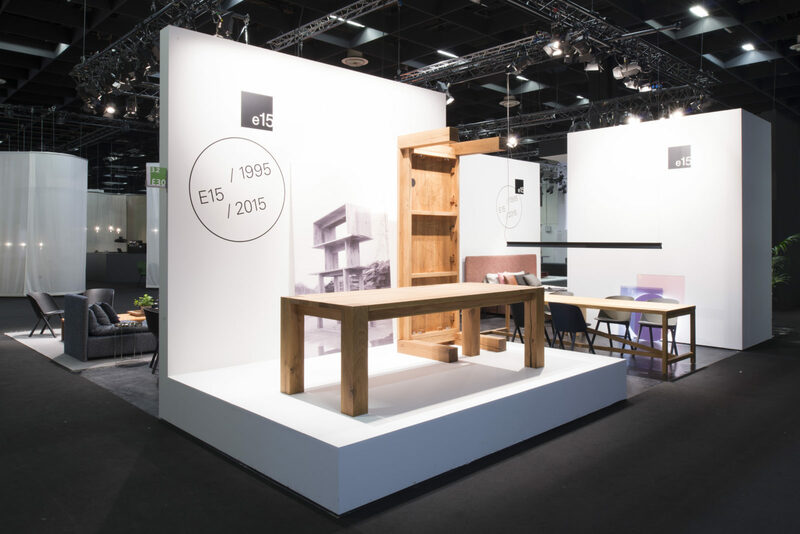 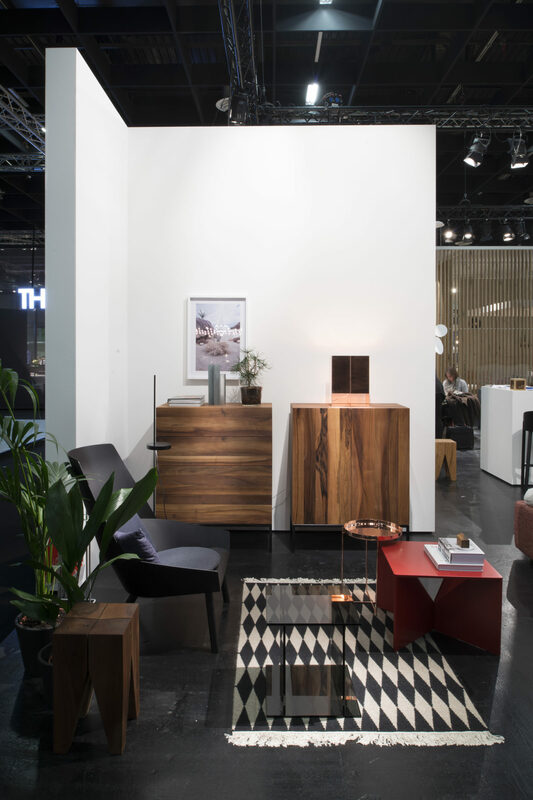 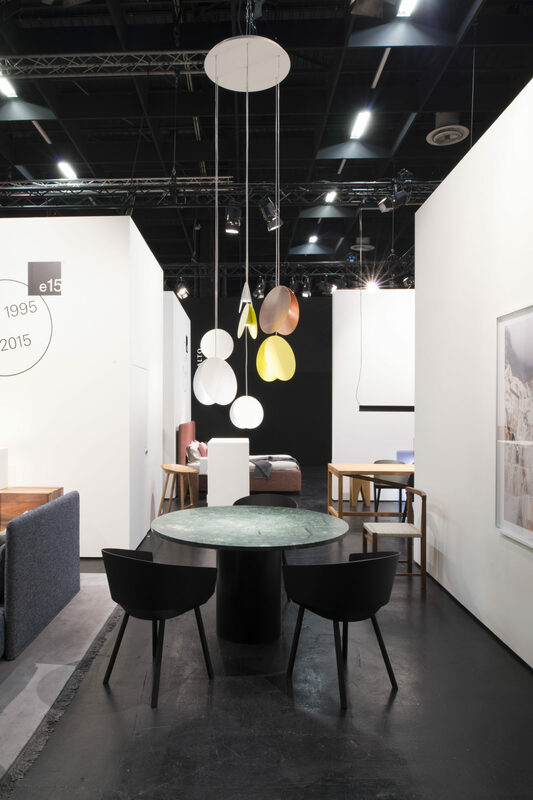 Celebrating 20 years of the brand e15 and its solid wood table BIGFOOT™, the exhibition design by PHILIPP MAINZER OFFICE FOR ARCHITECTURE AND DESIGN is centred on the anniversary theme. 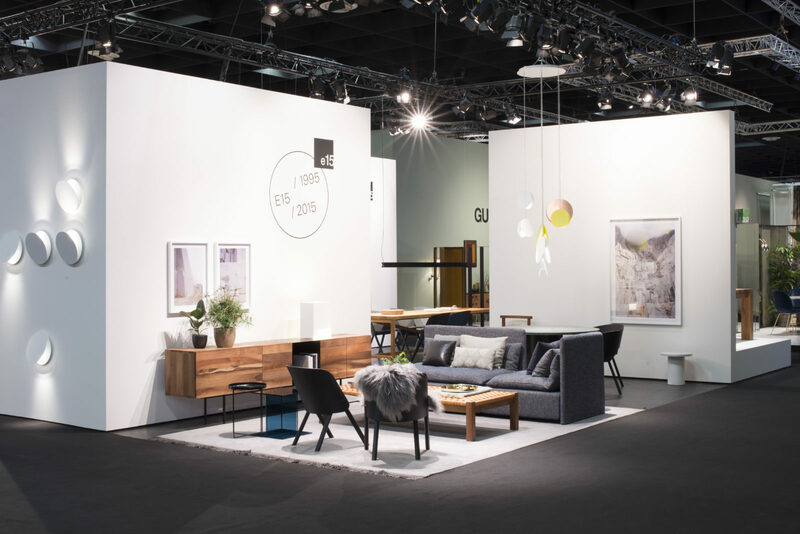 In a museum like setting, the BIGFOOT™ Anniversary Edition by artist Geoff McFetridge is placed upon a white platform from which the presentation unfolds into interlocking rooms. 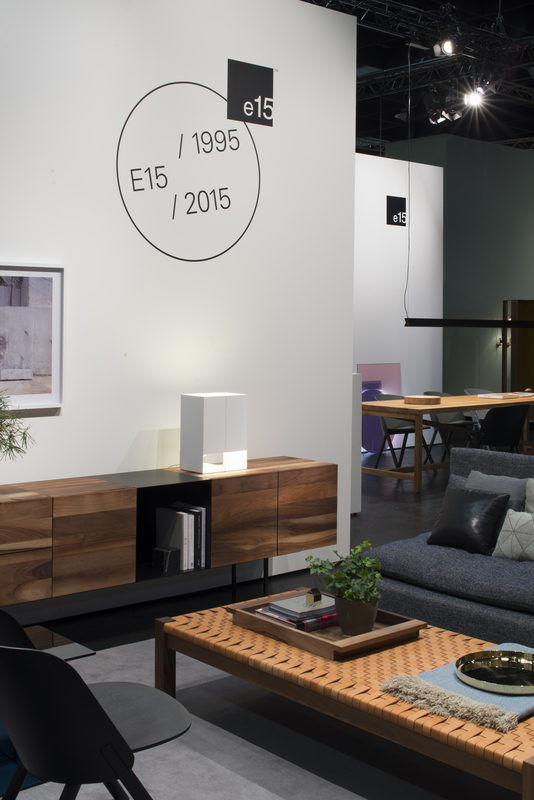 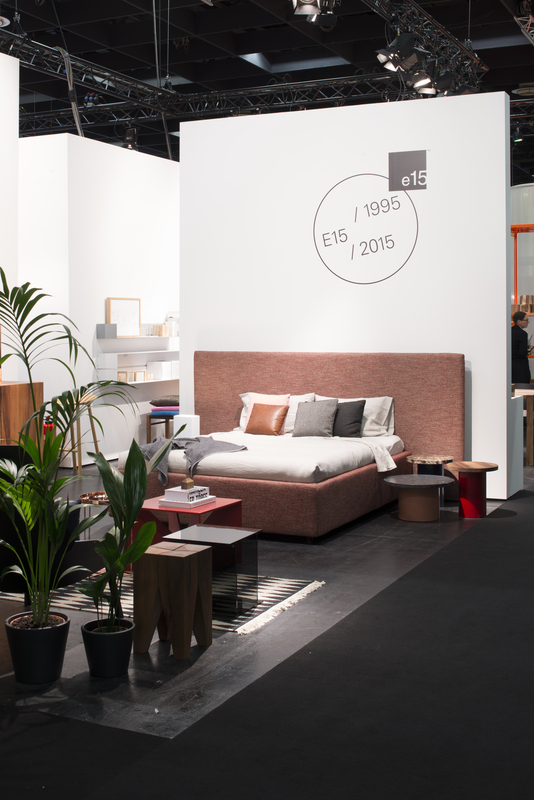 Blending concepts for living, dining and sleeping, individual settings highlight the clear, unmistakable design language and consistent product philosophy of the brand e15.